REVE Systems launched REVE Session Border Controller, the carrier grade wholesale softswitch at 38th Gitex Technology Week Dubai. 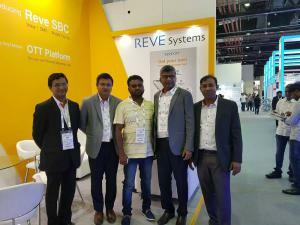 BUKIT BATOK , SINGAPORE, October 23, 2018 /EINPresswire.com/ -- REVE Systems the IP Software solution provider launched REVE Session Border Controller at the 38th Gitex Technology Week Dubai, which was held on 14th to 18th October 2018. 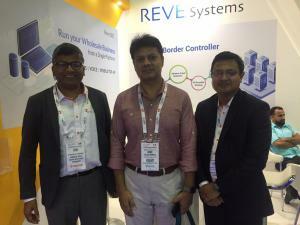 In this event, REVE Systems launched its carrier-grade wholesale Softswitch REVE Session Border Controller. Commenting on the launch, REVE Group CEO Mr. M Rezaul Hassan said, “We are quite happy to launch REVE SBC, which is a next generation wholesale platform for carriers, who want to offer multiple services such as Voice, SMS and Mobile Top-up on a single platform under a complete secured environment." Mr. Hassan along with REVE Systems Global Sales Head Mr. Raihan Hossain was present at the event to meet with players of the VoIP wholesale industry. As per company reports, REVE SBC has been able to gain the attention of some reputed wholesale carriers due to its advanced routing and management platform. With its much advanced carrier-grade technology, REVE SBC allows operators to deploy their services to handle any type of complex routing and subscriber management. During the Gitex event, REVE Systems also showcased its mobile OTT platform for communication service providers. The OTT platform will empower service providers to launch their own branded OTT apps and offer services like Instant Messaging (IM), Media Sharing, Audio-Video Calling beside Cheap International Outbound Calls and Mobile Top Up. REVE Systems is a Telecommunication & Software Solution provider with a wide assortment of products, ranging from backbone infrastructure to peripheral products, including middleware. The company today holds a leadership position in Mobile VoIP, SIP Softswitch, VoIP Billing, Bandwidth Optimization, WebRTC, Enterprise Communication, e-Governance, and Mobile OTT solutions.